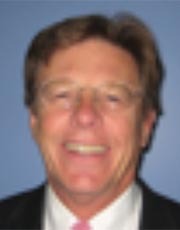 • Landfills (leachate scale) - drainage piping and methane gas de-watering pumps. clean of scale after 3 months with FlowMark System. FlowMark Pulse Power Electronic Water Treatment Systems are a great solution to eliminate or significantly reduce hard rock scale in its many forms in all these applications. The FlowMark System installation is simple. The coils just wrap around the exterior of the pipe before the equipment (no cutting of pipe) and connect to a controller that imparts a pulse frequency into the water changing the way calcium in solution changes to a solid. The calcium precipitates on the particles in the water instead of plating as a hard rack scale on heat transfer surfaces and the pipes. 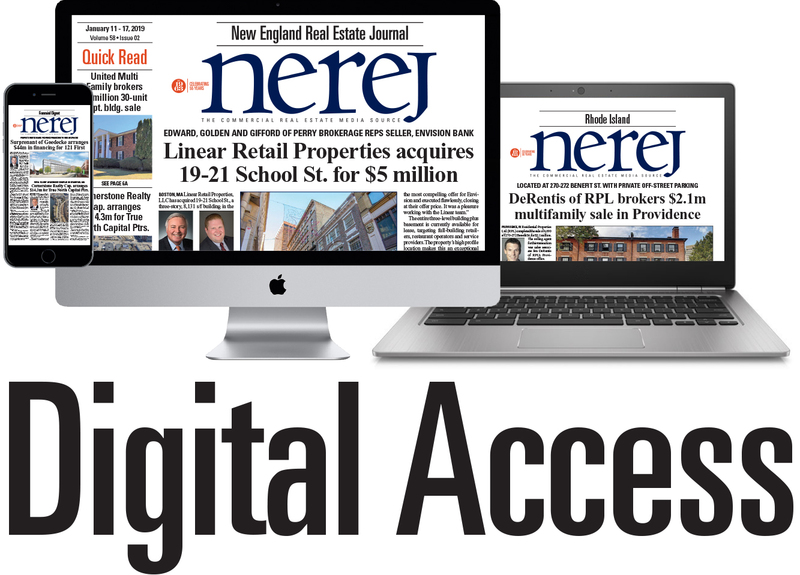 The following article discusses an application with SteamMaster electric steam boilers providing steam for steam rooms in the Dedham Health & Athletic Complex. 4) Difficult and time consuming to remove often requiring a hammer drill. 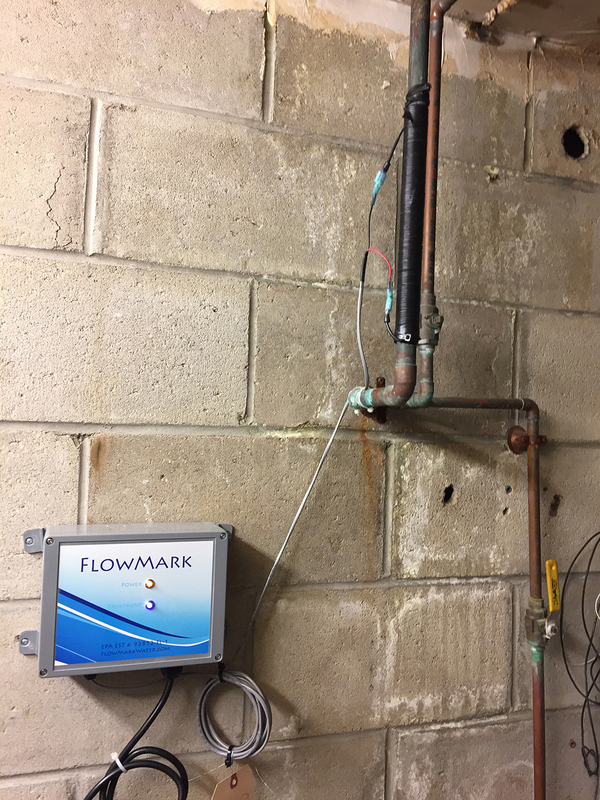 Conservation Solutions Corp. installed a FlowMark electronic resonance pulse power water treatment system on the water supply before two steam boilers. Boiler #1 had been cleaned and Boiler #2 had scale causing fouling. The FlowMark Pulse Power System changes the way calcium forms. Instead of creating a hard rock calcite scale, the calcium precipitates on the particles in the water to make a powder, which is either filtered out in a filtration system or flows through the system to the steam room. The FlowMark System also removes existing scale over time. Expansion and contraction occurs in the boiler causing cracks to form in the hard rock calcite scale. Under normal conditions, the calcite fills the cracks causing the calcite scale to build-up. Using the FlowMark System, these cracks are no longer re-filled with calcite scale and the exiting scale eventually falls off. The existing scale also becomes softer and easier to remove. Calcite scale is eventually eliminated from the heat transfer surfaces providing a long-term sustainable energy efficient solution preventing future calcite scale from forming. 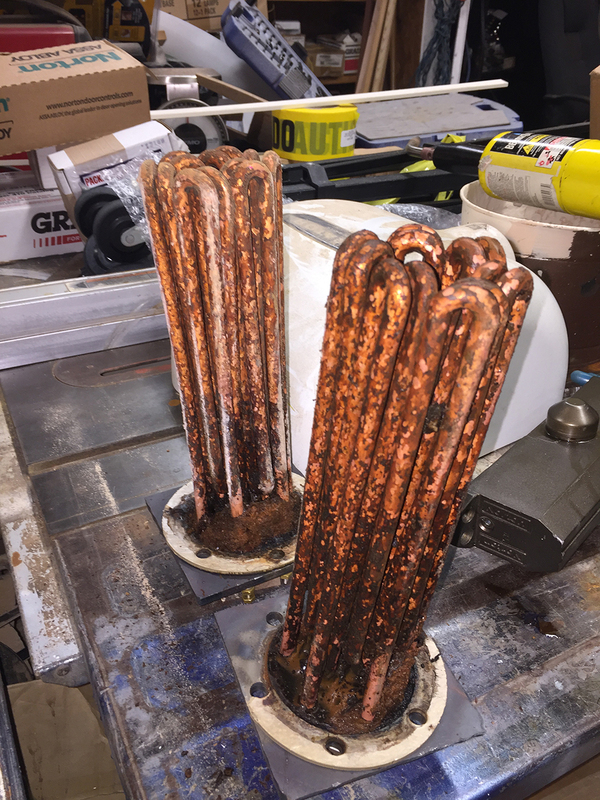 Vince Dusio and Carl Congdon from the Dedham Health & Athletic Complex were relieved they were able to brush out by hand most of the calcite scale that had fallen off the heat exchanger piping in the boiler. Congdon said, that he “used to need a hammer drill and chisels to get the scale off the coils. This is so much easier when the scale falls off the heat exchanger and the remaining scale is softer making it really easy to remove.” Going forward they expects no hard rock scale to form on the heat exchangers and much better operating steam boiler energy efficiency and longer steam boiler equipment life. • Significantly reduce maintenance time required to clean steam boilers.